Dr. Wayne Jonas, President and CEO of the Samueli Institute, a friend and mentor, testified before the U.S. Senate on February 23, 2009 regarding his views for creating a path to health care reform. 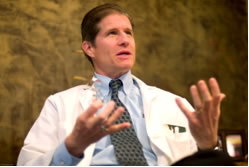 Dr. Jonas, a well respected member of the Washington D.C. health community formerly served as the Director of the Medical Research Fellowship at the Walter Reed Army Institute of Research (WRAIR), a Director of a World Health Organization Collaborating Center of Traditional Medicine and a member of the White House Commission on Complementary and Alternative Medicine Policy. Obviously, this is a case where more of the same is not necessarily better and, unless or until the system changes, and we fashion a new vision to create health, we will bankrupt our country. Dr. Jonas then went into the facts and figures that those of us in health care who believe in wellness, integrative medicine, and a holistic approach to healing have known for years. Seventy percent of chronic illness is due primarily to lifestyle and environmental issues, including proper substance use (smoking, alcohol, drugs, diet, and environmental chemicals), adequate exercise and sleep, stress and resilience management, social integration and support, and selective disease screening and immunization. We are on a not-so-merry-go-round, which has an entire system of illness incentives that are improperly reimbursed, improperly addressed, and inappropriately segmented as if each part of our body was not a component of the whole. It is time to begin to throw the switch and to teach our patients what we already know so that wellness, wholeness, and health can be given a new definition. Dr. Jonas specializes in Systems Wellness. Dr. Leroy Hood specializes in Systems Biology. We as a country need to demand that our medical schools embrace both concepts as, like indigenous man, we begin to realize that our brains do have something to do with our bodies, as we realize that our commodity driven society does not always promote the BEST food, the BEST exercise, the BEST of anything but, instead, because of the quarterly reports to the stock holders, promotes the most lucrative. We know that drinking a soft drink with 10 teaspoons of sugar is not exactly healthful. We clearly understand that quadruple cheese anything might eventually catch up with us, or that Uncle Buck’s 72 oz. steak can’t really be good for your arteries. Fried and buttered everything, a total lack of exercise, and more stress than anyone can ever dream of will not extend our lives. There is a reason why most of our physicians die ten years before their patients. Between the battles to get their degrees, the incredibly long hours, the pressure of dealing in life and death issues, and the demands of dealing with a broken healthcare system, they need stress management as much as anyone. How much further down must we go as a country before we begin to realize that millions of dollars, dozens of expensive toys, mansions, and rich food are not true measurements of success? During a visit to the Netherlands a few years ago, I told my host that I would be back in August. She looked at me, smiled, and said, “Don’t bother. The entire country will be on vacation,” and they were. Many European countries take 52 paid days off per year. Sure, their cars are smaller or they use bikes and generally they may own less clothing, but they are living longer, healthier lives. Thanks for the concise analysis. Fantastic weblog put up. Want extra. I am often to blogging and i actually recognize your content. The article has really peaks my interest. I’m going to bookmark your web site and maintain checking for brand new information.. 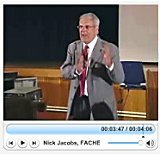 I think the admin of this The Not-So-Merry-Go-Round » Healing Hospitals – Nick Jacobs, FACHE is genuinely working hard in support of his web page, for the reason that here every material is quality based material. In this great pattern of things you’ll get an A for hard work. For the moment I will yield to your position.